Robert J. Segura, Sr. “Bob” was born on February 17, 1919 in Erath. His parents were James Mayo Segura, Sr. and Edna LeBlanc. At the age of fourteen, he moved to New Orleans to attend Fortier High School and play baseball for their team. Yet, the track coach at Fortier saw the natural talent and speed that Bob possessed and asked him to try out for his track team instead. His high school career was filled with many victories in track and basketball, as well as lettering and being captain of both sports. In his senior year, Segura was undefeated in the 100, 220 and broad jump. After graduation in 1937, Segura was supposed to be a contender in the U.S. Olympic trials in Milwaukee where he ran both the 100 and 220 yard dash. Unfortunately, the trials and the Olympics were cancelled in 1940 and 1944 because of World War II. Instead of fulfilling his dream of competing for the U.S. Olympic team, Bob went and fought for his country. After the Korean war, the U.S. Government offered Bob a coaching job in Martinique but he turned it down because the war had just ended. After a brief stint in the Navy at Parris Island, South Carolina, he continued his promising track career at Loyola University, where he again was captain of both the track and basketball teams. After transferring to USL, he graduated in Physical Education and went back to Erath to teach and to coach at Erath High Scool. Equipment and facilities were extremely poor during Bob’s time of participation and coaching sports. It was very rare for them to receive any funds to build any facilities. Since there was no stadium for football games, the spectators would park their cars surrounding the field and use lawn chairs to sit and watch the games. The basketball team also played with the same basketball for two to three years and continued to patch it up if holes appeared because the school board would not and could not afford new basketballs. Because of these conditions, Coach Segura, started a boxing team at the high school in order to raise money to build facilities and buy better equipment for the school. Both the football and boxing teams drew in the most crowds, and therefore raised the money so that Bob was able to start the first track team and build an actual dirt track for them to practice on. It was the only track around so that all the other schools practiced on it until they were able to provide one for their school. After a few years, they were able to build a stadium and then later they were able to get cinder track. 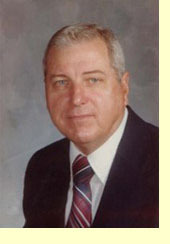 Coach Segura was inducted into the Louisiana High School Hall of Fame in 1981. While coaching at Erath, Segura’s trackmen won nine consecutive state championships. During that time, he coached in 104 track meets, winning an astounding 92 of them. In the twelve meets that he lost, the Bobcats came in second 10 times. One of the greatest accomplishments in his coaching career came between 1956-58 when his squads put together a string of 19 consecutive track meet championships. His 1962 mile relay team was the first Class B foursome to break the 3:30 mark. In 1964, his 440 relay team was the first Class B school to ever break the 0:44 mark, a record that stood for seven years. Truly a remarkable feat was accomplished in 1959, when his team captured the state track crown for all classes. What made it so outstanding was that he claimed the title with only 5 participants. In 1961, he was presented the keys to the City of New Orleans by Mayor Chep Morrison.